Do you know somebody who loves to play football? Are they a future superstar? 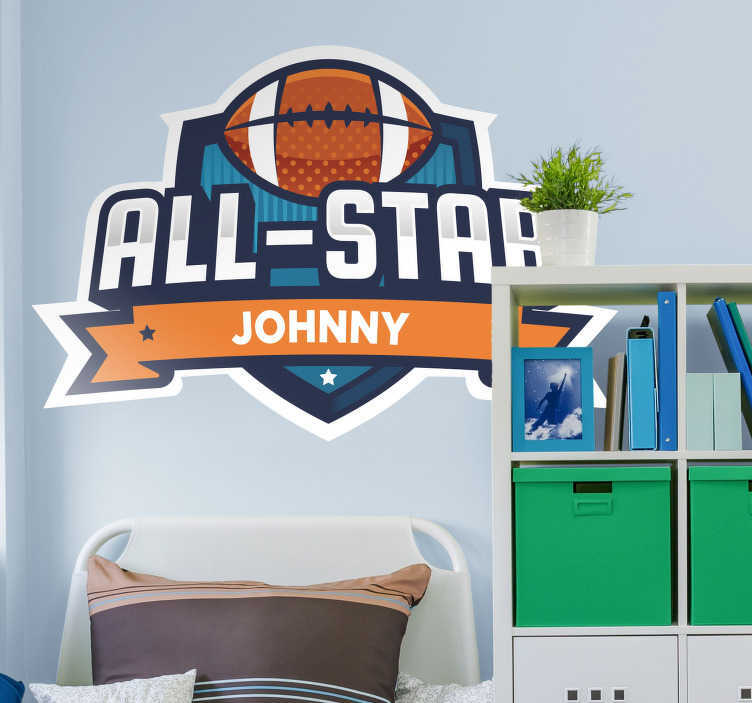 If the answer to that question is yes, then why not decorate their bedroom wall with this fantastic football themed customisable wall sticker! Perfect bedroom decor for those who wish to decorate their wall with something related to what they love!